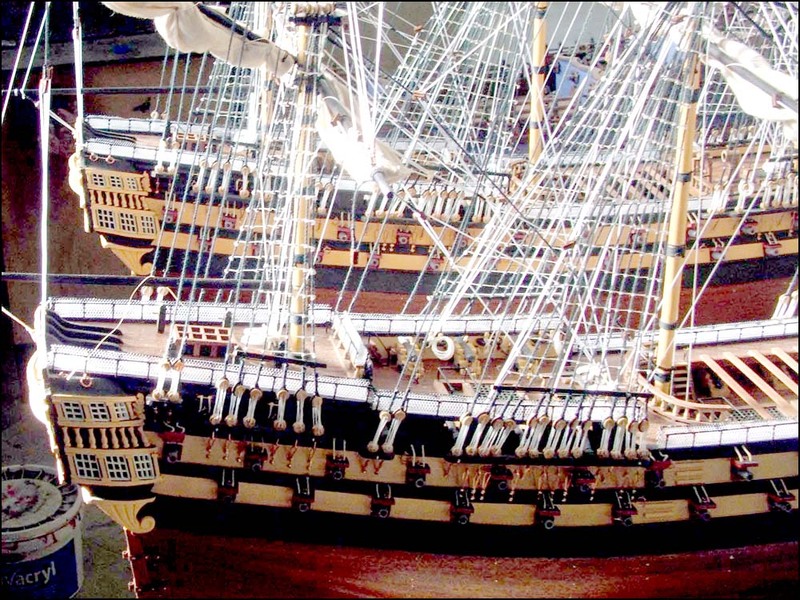 The ship model dimensions quoted on our website are overall model height (wooden base to highest point), overall width (utmost extremities) and overall length (bowsprit tip to aft tip). The overall dimensions are shown in the pictures below. If you wish to purchase a display case for your model, we recommend that you wait to receive the ship model and then measure it carefully. The display case supplier will be able to advise you how much bigger the case should be in order to adequately fit the model ship inside it. Please contact us if you have any query or doubts regarding our ship model sizes. Please note: collection and visits are by appointment only.